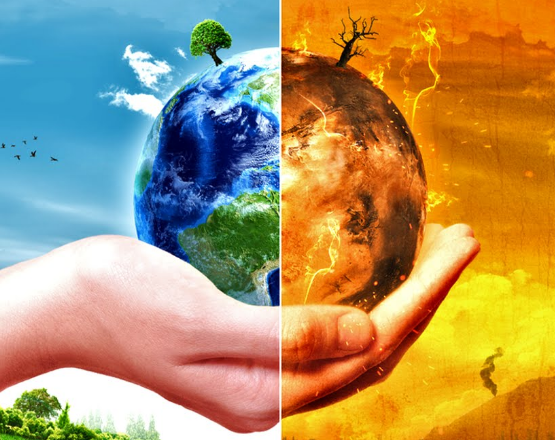 Politicians, bureaucrats, activists, scientists and the media have warned Americans for decades that the Earth is headed toward climate catastrophe. But, surveys consistently show that less than half of U.S. adults are “deeply concerned” or “very worried” about climate issues. If, as zealots insist, climate change is the “most urgent threat facing our entire species,” why do a large percentage of Americans not share his fear? Climate crusaders tend to lay fault with nonbelievers’ intransigence. But this is its own form of denial and masks the real reason: poor salesmanship. In fact, as early as June 2017 we were dishing advice to climate change advocates. Comparably, the WSJ opinionator builds upon these themes. And, swapping between “climate change” and “global warming” confuses the public. Bold statements about complex systems are always more plausible when they are made by people with impeccable credentials. According to Pew, only 39% of Americans believe climate scientists can be trusted a lot to give full and accurate information on causes of climate change. As a Harvard sophomore, Al Gore received a D in a natural-sciences course. Leonardo DiCaprio dropped out of high school in 11th grade. Tom Steyer’s hedge fund invested hundreds of millions of dollars in coal mining. More generally, “climategate” and questions about the integrity of National Oceanic and Atmospheric Administration climate data have all fueled public suspicion. While the prosecution may feel it has a winning case, the jury’s verdict is what counts. Labeling dissenting jurors “deniers”— an insidious association with Holocaust denial — is a losing courtroom strategy. Most people are naturally disinclined to obsess daily about a phenomenon that started long before they were born and won’t reach fruition until long after they die. Calling skeptics “anti-science” is counterproductive, especially since skepticism is the essence of the scientific method. Listen to the doubters, don’t lambaste them. The advice sounds familiar, doesn’t it? This entry was posted on May 11, 2018 at 6:59 am and is filed under Climate change, Global Warming - Climate Change. You can follow any responses to this entry through the RSS 2.0 feed. You can leave a response, or trackback from your own site.